TEHRAN, March 30 (Xinhua) -- Governor of the Central Bank of Iran (CBI) Valiollah Seif said that Tehran and Moscow will use their currencies in trade exchanges between the two countries, semi-official Fars news agency reported on Thursday. "Talks have been held with the Central Bank of Russia over linking Mir payment system of Russia and Iran's Shetab (Interbank Information Transfer Network) so that tourists can easily use ATM devises while visiting each countries," Seif was quoted as saying. Two major banks of Russia and Iran are pursuing replacement of dollar with national currencies so that the traders will settle transactions in rial and ruble, Seif said. "Gazprombank of Russia and Iran's Bank Melli have agreed to open a joint account for using national currencies which will boost trade turnover and increase the volume of imports and exports," he said. Talks are in final stages and the agreement will be inked in near future and the connection will take place in one month, he added. 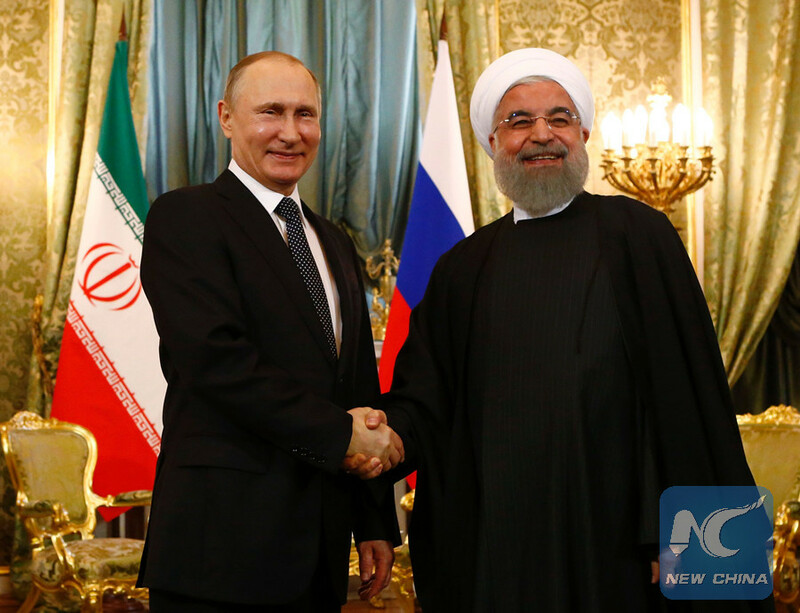 Russia and Iran signed Tuesday a string of cooperation agreements in various fields including the energy sector as President Vladimir Putin hosted his Iranian counterpart Hassan Rouhani for his official visit to Moscow. The two leaders discussed during the meeting prospects for expanding bilateral trade, economic and investment ties and agreed to deepen Russian-Iranian cooperation in various areas, primarily the economy.